Today it’s difficult to imagine our home without furniture’s. 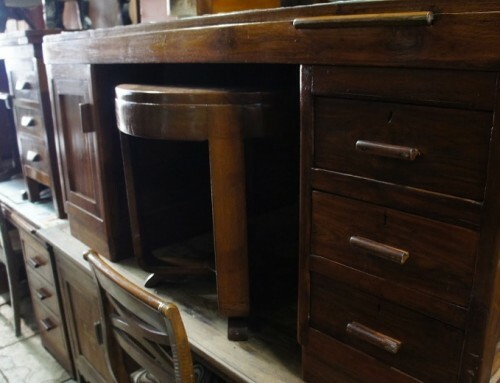 To simplify I would say plywood, as furniture’s are made from plywood. The only minus point here is that the edges need to be covered or finished so that the panel or furniture looks complete without any rough edges. To give furniture or panel a clean and solid finish Edge banding is used. The edge banding is either a hardwood or veneer that is pre-sanded, available in various sizes starting from 7/8” to 2” and more. There are different techniques for applying Edge Banding- a real wood veneer. It can be as simple as gluing method or iron-on-edge method it or applying it with edge banding machine and then flushing it to the top edge surface of plywood. The gluing method lets the builder use varied range of router bits to craft an attractive edge design. But the drawback is that it is time consuming as compared to using an iron-on-edge banding material. The width of edge banding is usually taken more than the plywood sheet, say for e.g. 7/8” edge banding is used to cover ¾” thick plywood/MDF sheet. Not only width, the length of edge banding is taken an inch longer. Here the overhang (lengthwise and widthwise) of edge banding is nicely and easily trimmed to the surface edge of the wood sheet. An Iron-On- Edge method is easiest and simple of all, that is most commonly used. 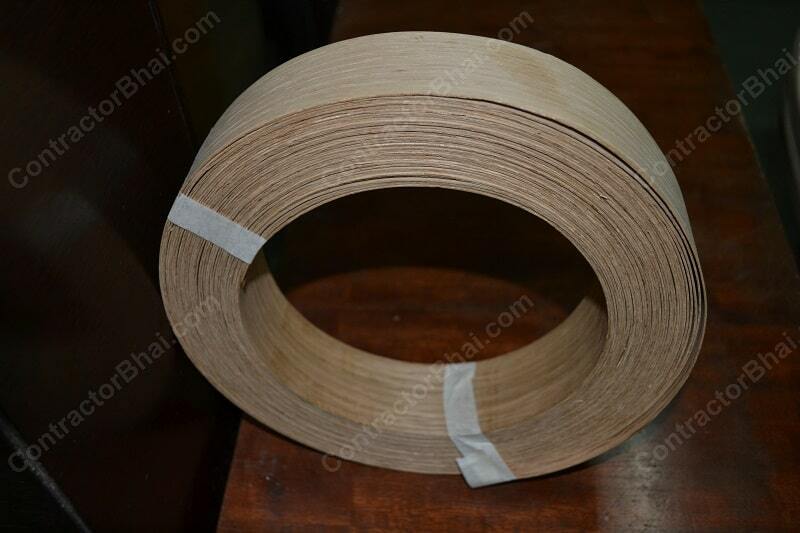 Here, a good quality iron-on veneer roll i.e. clean surface and good heavy layer of glue on other side is used. This is available at local hardware dealers. The tools required here are thin veneer roll, clothes iron roller, edge trimming tool and 18 pt. sanding tool. • Firstly the roll is cut longer than panel size. • A regular iron is worked on it with panel held vertical. The iron is set on medium temperature or on ‘cotton’ which is worked on slowly with downward pressure along the banding. 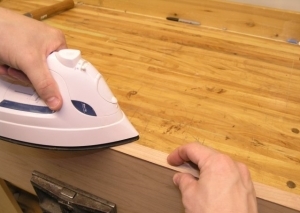 The iron is worked on at angles on edges to ensure that glue has contacted the panel uniformly. • Once the glue is melted, a roller is used over banding to ensure complete contact of banding with panel. • The extra edge banding is trimmed with banding faced downwards with a sharp utility blade or knife. • For smaller trims, block plainer is used over banding. It is smoothly rubbed over edges for several times. After a few stripes, the edge banding will be flushed to the panel surface. 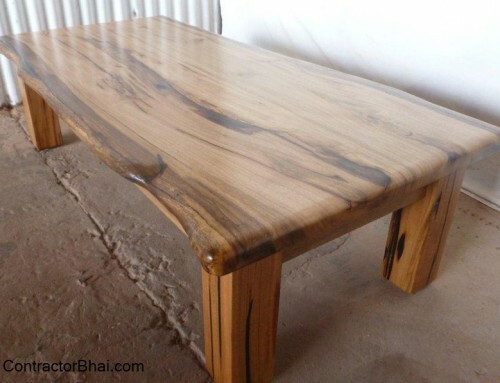 • The finished edge is rubbed with 18 point sanding tool. This process is called sanding that removes excess glue and dust particles. It also smoothens the edge banding. Edge banding is usually used to finish the thickness or sides of plywood. Here if veneer sheet is used instead of edge banding to cover such small areas, it will develop cracks and tend to break easily. Also the wood will not gain strength like that with edge banding. Edge Banding is available in circular bangle form. The length of this bangle or roll you can say (on opening) is 15meters i.e. 50 feet and the width varied from7/8” to 2”. Also because the way Edge banding are manufactured, it is more flexible which makes them stronger than veneer sheets. Edge Banding are usually manufactured as and when required through machines. Most Home owners or even professionals choose for edge banding matching or somewhat close looking to that of the veneer color used for furniture. Edge banding is usually used for natural wood. 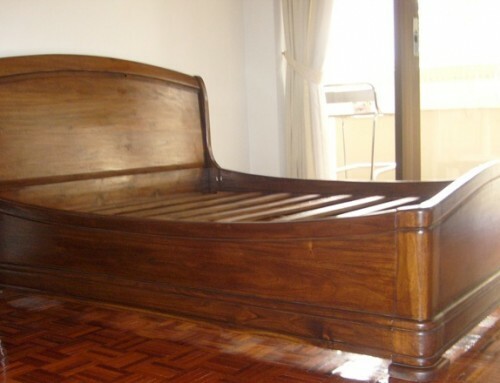 For laminates and other artificial wood used to cover plywood furniture, the edges are finished with its sheets only. 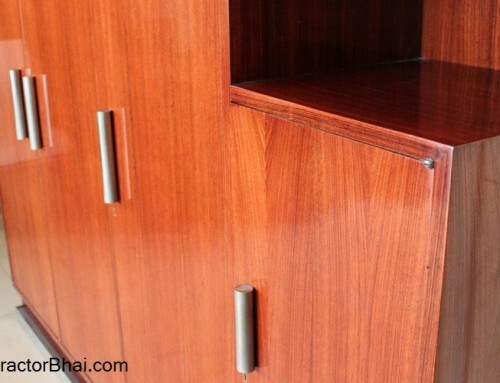 Edge banding is not used for furniture covered with laminates. 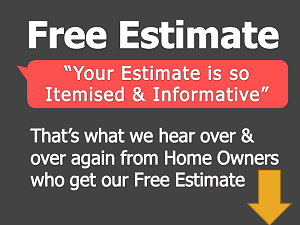 very informative and helpful ..As an interior designer it gives good insights !! Where can I buy iron on edge banding. Here in Jaipur nobody knows what is iron on edge banding all they will give you is PVC edge banding. sir pls call us 9920620009, we will give veneer/edge bending supplier number. If i am using PVC 90 degree bendable sheet then no need of extra edge bending. What is your opinion on PVC 90 degree bend sheet. It is good product, few years back it got introduced. Not heard any complains so it should be good. 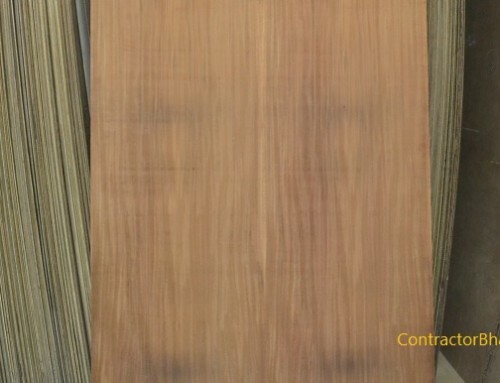 We have requirements of veneer edge bidding..